Exclusively ours, in Slate and Red/Blue. 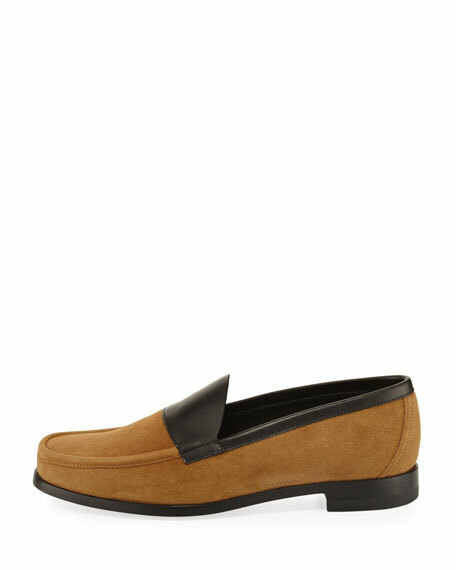 Pierre Hardy colorblock leather loafer. "Hardy" is made in Italy. Launched in Summer 1999, the Pierre Hardy house has made its reputation for elegant, streamlined shoe silhouettes and uncluttered, almost aggressive models. The radical, decisive creative approach has its roots in Pierre Hardy's background as a dancer, illustrator, and performance designer. Pure lines, geometry, and contrasts define the Pierre Hardy style. The Pierre Hardy woman? "Daring" and "self assured," she "revels in modernity." Jeweled sandals, cutout stilettos, minimalist ballerina flats, and even sneakers take shape in clean yet sensual silhouettes. 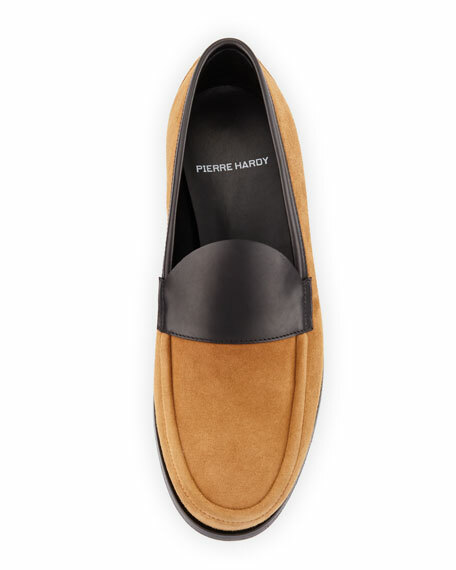 For men, Pierre Hardy also follows a graphic vision. Desert boots, sneakers, moccasins, as well as wallets and accessories, are revived and streamlined  with a studied nonchalance. For in-store inquiries, use sku #2039455.